Our highest specification magnetic notice boards making them ideal for outdoor locations where a high level of security is required. 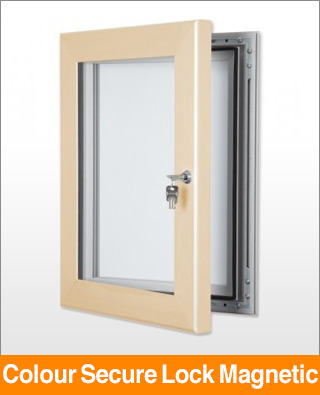 Heavy duty frame profile, high specification lock and hinge systems and available in 17 frames finishes. The back panel is magnetic steel suitable for a range of media types.